The short period of time after narrowly averting a vehicular accident is a vulnerable one for drivers, especially in city driving, according to new research findings. Dariusz Dolinski and Ewa Odachowska, psychological researchers in Poland, studied volunteers in a driving simulator and found that, in a busy urban environment, participants were almost three times as likely to crash in a dangerous situation after a near miss than those who hadn’t experienced a near miss. The participants in this study drove in a driving simulator, a car seat surrounded by a projection screen showing a road and the surrounding environment. The driver could control the car through a steering wheel, gas, brake, and clutch pedals, a manual gear shift, side mirrors and another screen behind them showing a rear view. For half the time, participants drove on an ‘out of town’ course. These ‘roads’ were mostly straight with some gentle curves, occasional trees, buildings, and cars in the other lane moving in the opposite direction. For the other half of the test, participants drove ‘in town’ with intersections, buildings, traffic lights, and pedestrians walking on the sidewalk next to the road. In both scenarios, half the participants had to avoid one near-collision in traffic, then faced another dangerous situation 5 seconds later. Out-of-town obstacles included an oncoming car in the same lane as the driver. This forced the driver to pull on to the shoulder to avoid it. Five seconds later they had to deal with a trailer decoupled from a tractor, moving into their driving lane. In the city, a football rolled in front of the car, followed 5 seconds later by a child running in the path of the driver. To compare these drivers with drivers who hadn’t had the near miss, half the drivers only faced the second obstacle — the trailer or the child running into the road. While they were driving ‘out of town’, participants handled the second obstacle well. Those who encountered one scare and then the other did about as well avoiding a crash as drivers who only encountered the second one. In town, however, the story was different. Among the pedestrians, street signs, buildings, and traffic lights, drivers were three times more likely to crash on the second obstacle when they had encountered the first. The researchers have offered a couple of explanations for this phenomenon. Previous research supports the notion that the state of relief is accompanied by disruptions in thought processes. These findings were the basis for this most recent driving experiment, in fact. This window of impaired cognition has been shown to appear 2-3 seconds after a threatening event is over, persist for 5-10 seconds, then decrease over the following 20-30 seconds. The researchers suggest that drivers should be made aware of this vulnerability after a near miss. They also suggest that this information may be helpful to car manufacturers that are increasingly including automated signals to drivers to warn them of hazards on the road, perhaps reminding drivers to slow down after a rapid swerve or sudden braking incident. An unfamiliar activity– tap a button once or twice depending on whether they heard one beep played over a set of headphones or two. 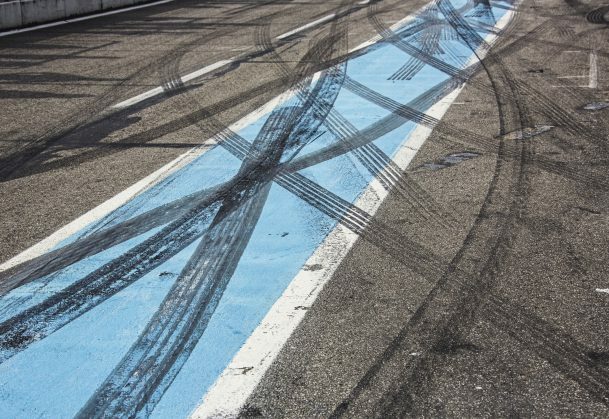 The results, reported in Psychological Science, showed that drivers were consistently slower and more error-prone when one of these actions followed the others, and were worse at the less familiar activity compared to the familiar one. In this experiment and others like it, pilot testing is important. The first traffic incident needed to be frightening and challenging, but ultimately avoidable for drivers. If the second obstacle that drivers encountered was too easy to avoid, almost no drivers would hit it and the researchers would have no data to analyze. Similarly, if it were too hard to avoid, almost everyone would have hit it and there would be no difference between the two treatments. Five drivers took place in pilot studies for these experiments, testing out different road hazards to find the right balance for each scenario.